Forrest Claypool’s resignation as CEO of Chicago Public Schools on Friday was a stunning turn in a career in which he has served on the Cook County Board, led the Chicago Transit Authority and worked as Mayor Rahm Emanuel’s chief of staff. Claypool agreed to step down after CPS Inspector General Nicholas Schuler released a report accusing Claypool of repeatedly lying and attempting to cover up a contract deal that numerous lawyers flagged as inappropriate. 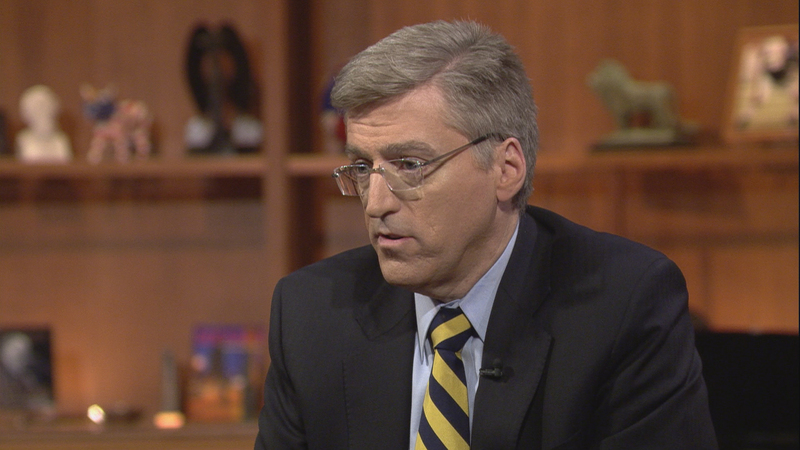 Schuler joins Chicago Tonight to talk about his investigation and what else CPS must do to restore credibility. Dec. 7: Chicago Public Schools’ Inspector General Nicholas Schuler says CPS CEO Forrest Claypool engaged in a “cover-up” and “repeatedly lied” during a 16-month ethics investigation. Nov. 9: A Chicago Public Schools watchdog report recommended her termination just two months ago, but on Thursday, York Alternative High School Principal Sharnette Sims received an apology from the district and was told she’ll be reinstated to her position, effective immediately.